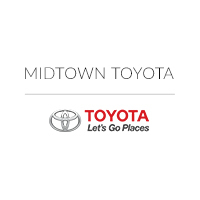 If you find a new Toyota like the Toyota RAV4 or pre-owned Toyota that you like at Midtown Toyota, visit our Finance Center where our experts will help you finance you next Toyota! We understand that the financial process can be overwhelming: should you buy or lease your next car? What type of monthly payments suit your budget? What does your credit look like? We can help you answer all of these questions when we work one on one with you at our Toyota Finance Center. Begin by filling out our Toyota car credit application, and our specialists can help determine the best payment plan for you. You can call us at (877) 899-6206, contact us online, or simply stop by our Chicago Toyota dealership today to find and finance your new Toyota car! The finance staff at Midtown Toyota works with a vast array of lending sources in order to satisfy our customer’s financial needs with the most complete and comprehensive financial packages available. Our finance staff works diligently to maintain our goal of 100% customer satisfaction.